Download required files [ fileupload ] // wait for timer, click download then Download again. Note: You will NEED blue coins for this. 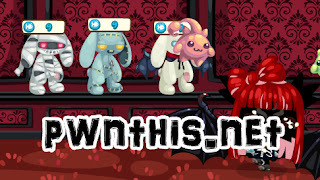 As the bunnies are random, people are requesting for a shop where they can purchase the bunnies without getting repeats. So this is for those who uses blue coins. 2nd Note: Bunnies actually cost 6 Blue Coins now if I am not wrong, however if you want it to be specified bunnies, I have no choice but to make all to 9 Blue Coins.